This month authors have the chance to take part in workshops, discussions, social activities, and professional development in a one-day festival courtesy of the DC Public Library and the Library of Congress. 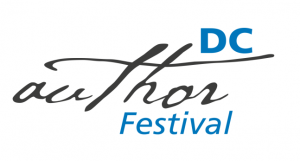 Session topics at the DC Author Festival will include international publishing, genre writing, short story writing, working with an agent, structuring your novel, small press publishing, and more. Organizations such as The Authors Guild, DC-ALT, the Historical Novel Society, Mason Jar Press, MoonLit, and Pitch Wars will have a presence. The DC Writers Project is also offering writers a chance to submit works of adult and young adult fiction for the Library’s online collection. You can stop by the DC Public Library table for details. This year’s featured speaker is Michael Twitty. He is the author of The Cooking Gene: A Journey Through African-American Culinary History in the Old South. You can read some of his work on Afroculinaria, a blog on the same topic that Twitty has run since 2010. Twitty’s talk will take place at 1:30 PM in the Mumford Room. The DC Author Festival will take place from 10 AM to 5PM on Saturday, April 27th. Point your navigation app to the Library of Congress James Madison Memorial Building at 101 Independence Ave. SE, Washington, D.C., 20540.